Don't want summer to end! 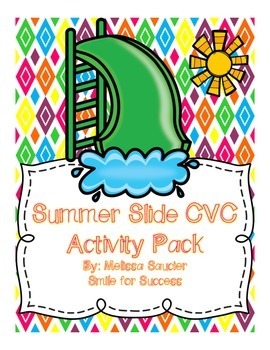 Here is great CVC pack for your students as they come back from summer vacation. This allows you to have them independently blending, reading, and finding CVC words. Students blend CVC words and find the picture that matches. This is all in a fun summer slide format. 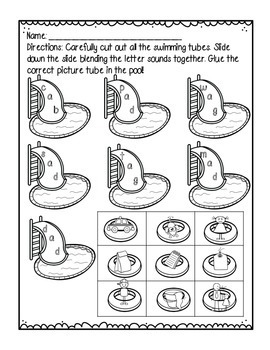 They slide down the slide (blending the sounds) and glue the correct tube inside the pool! Enjoy a matching Summer Slide Pack! 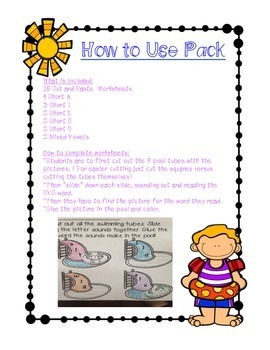 for small groups and centers!